Nanaimo has started to buzz with film making the past couple of years, but it wasn’t so long ago there was very little film activity in the hub city. A few years before Chesapeake Shores arrived on the shores of Vancouver Island, a young aspiring filmmaker desired to make his home of Nanaimo into a film making mecca. After living and exploring the film making scene in Vancouver for six months back in 2012, Nanaimo-born Zachary Tannar felt the big city wasn’t the right fit for him. His biggest issue was he didn’t feel creatively inspired by the locations in Vancouver and access was limited, where as Nanaimo is full of amazing beautiful locations of both nature and urban that could easily be accessed. So he decided to set his roots in Nanaimo and grow. The biggest challenge with Nanaimo though was finding other filmmakers to make movies with as there were no local film organizations back then. So in 2013 Zachary started the Hub City Cinema Society (HCCS) – a non-profit society based in Nanaimo run by filmmakers for filmmakers to connect, learn and collaborate. Borrowing from one of Nanaimo’s nickname, the organization’s name was chosen to reflect the objective of being a hub for filmmakers on Vancouver Island. In 2014, the HCCS solidified its presence by acquiring a studio space in downtown Nanaimo at 15 Lois Lane. 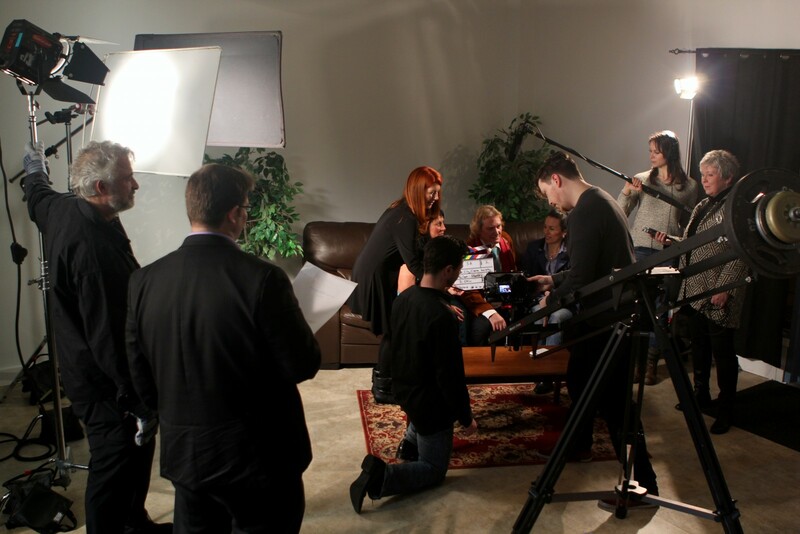 Our central location has made the HCCS a go to place for filmmakers from Campbell River to Victoria to congregate. For the past 6 years, the HCCS has been hosting events on nearly a weekly basis which filmmakers from all over the island would attend. Events range from casual socials, to professional talks and workshops, film making challenges, and showcasing Vancouver Island made films at our annual film festival Cinefest which took place for the first time at the Avalon Movie theatre in 2018.
movie locations. With a well connected supportive community, local filmmakers are now able to tackle even more ambitious projects and represent the island in big ways in competitions such as Storyhive and film festivals around the world. Film making has come a long way on Vancouver Island. There’s no better example of that than seeing the quality of films at the Hub City Cinefest and the quantity of people who show up to watch the films. Last year Cinefest had its first sold out show of 185 people! While we’ve come a long way, there is still much to look forward to in the future with the continued growth of the community and now industry on the island. It’s only going to get more and more exciting to be a filmmaker on Vancouver Island!